alloween will soon be here! so, with a bit of cheer I say ‘boo’! Oh, and I also have a treat just for you —a set of retro inspired transfers you can download for free and use on your bag of choice! These lovely designs were created by Karly Depew, of Oscar+Emma Designs. To use, all you have to do is pick up your favorite iron-on transfer sheets, print the image on them, cut to the shape, iron them onto your bag, and pull the transfer off while it is still hot. Note: Be careful not to burn your fingers! For an extra added authentic touch, you can purchase small burlap/draw string treat bags. Print • Cut • Iron and Enjoy! *Need help finding the right iron-on transfer sheets? Here are some recommendations: June Tailor, Inc or Print n’ Press Transfers for ink jet printers (you are likely to find them at either Beverly’s Craft Stores, Michael’s, or your local craft store. Take this set of designs and print them out on an 8.5 x 11 sheet paper and use it custom gift wrap. 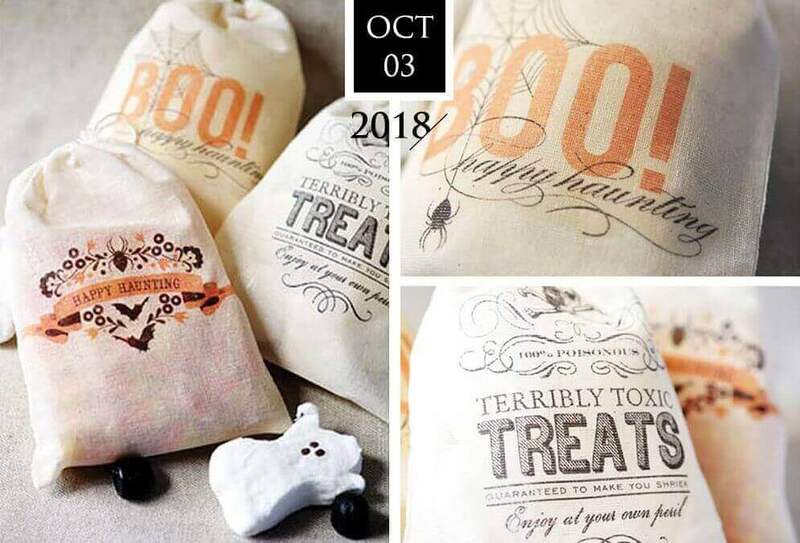 Perfect for last minute Halloween gift wrapping needs. Blog Pics by via my Halloween Gift Wrap Pinterest Board | Each photo belongs to their perspective owners. I do not own any of the lovely photos here, unless otherwise stated.